Is your view gloomy? It’s not because of the cloudy weather; it’s your dirty windows! Everyone can clean a window. But not everyone can get the job done properly the way a professional window cleaning company does. 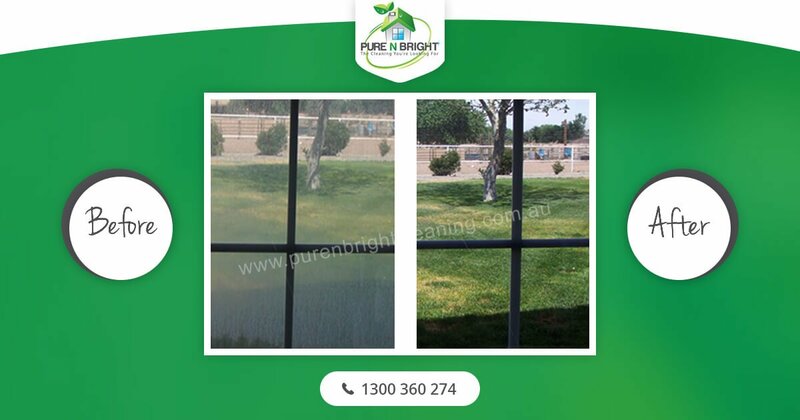 We, at Pure n Bright Cleaning, as a reputed cleaning company offer a variety of window cleaning services to choose from including residential, commercial and high rise windows cleaning services. Water is De-Ionized by running it via a special system which is made to remove positively charged ions created by the Earths magnetic field. The normal tap water has to be treated first in order to get rid of the impurities like minerals and other particles which cause streaking on the glass if left to dry on the surface. The technique that we use consists of the procedures like reverse osmosis and deionisation with the help of large number of filters and resins. The cleaners perform the cleaning with a unique water fed pole from the safety of the ground. The deionised water can be used to clean any type of glass, mirrors, roofs, fascias, signage, cladding or solar panels etc. 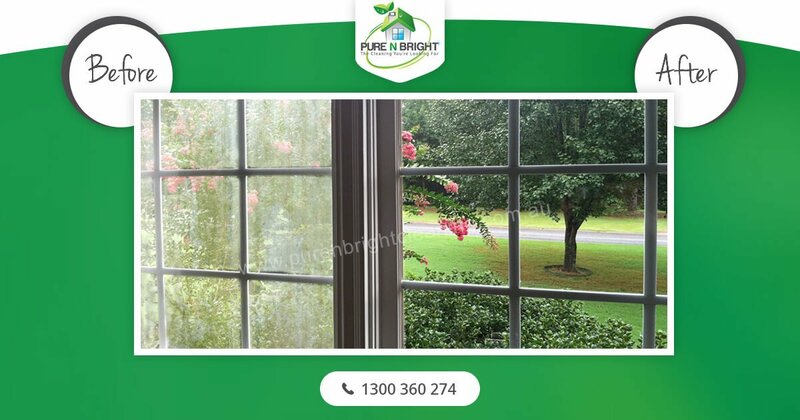 Cleaning your Residential windows in Melbourne on by yourself is not only time consuming, but can also be difficult and dangerous. Climbing on ladders and hanging out of windows without the right equipment is not something we recommend. 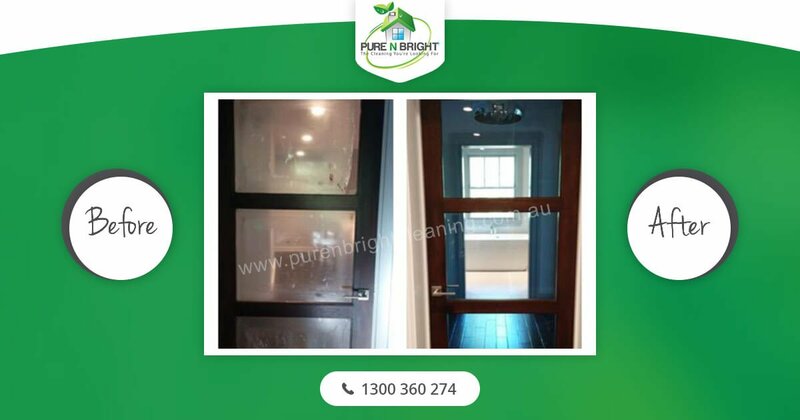 Pure n Bright is here to help. We will get the job done safely while leaving your windows spotless. 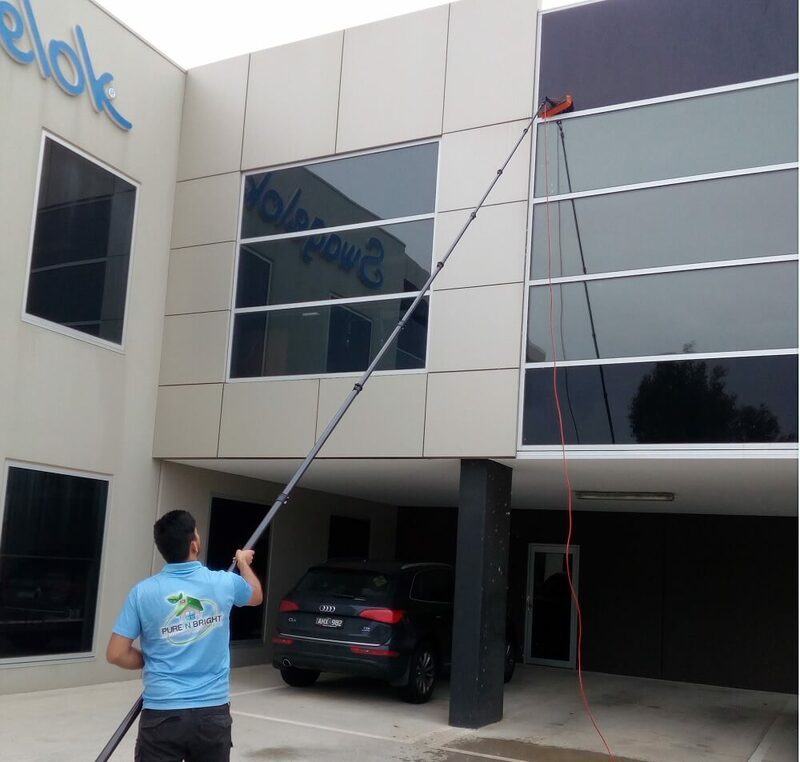 We set ourselves apart from other window cleaners in Melbourne by using the advanced cleaning equipment and eco-friendly cleaning solutions. Dirty windows can ruin your company’s image. 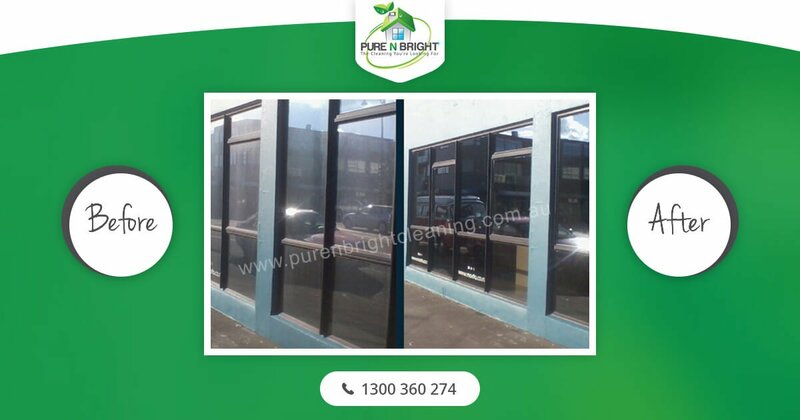 Professional office window cleaning on a regular basis provides your business with the peace of mind that your brand infrastructure is well maintained. 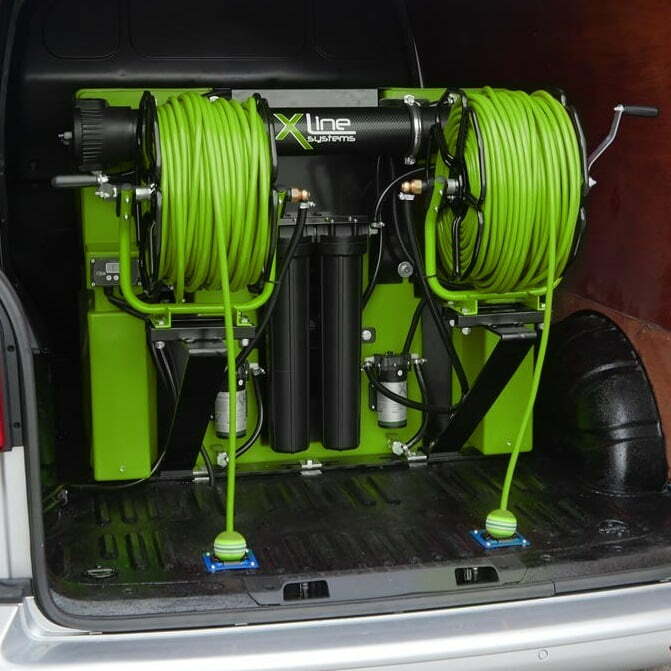 Ensure public safety by ensuring all equipment and cleaning material is eco-friendly and harm free. Have you ever wondered how the windows on skyscrapers and high rise buildings get cleaned in the city? 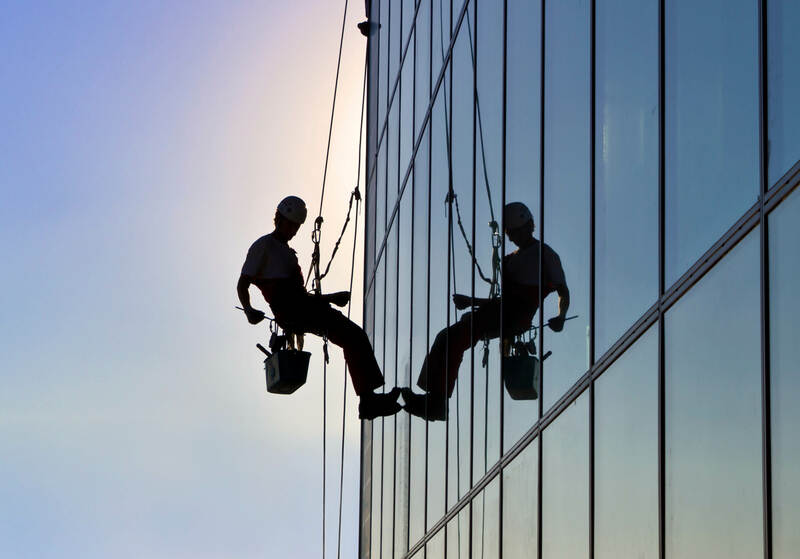 The answer is a professional high rise window cleaning service in Melbourne. We follow all the safety standard and are continually updating our training and education making sure our cleaning service stay on top of the industry standards. Don't attempt to hone your own window-washing abilities! 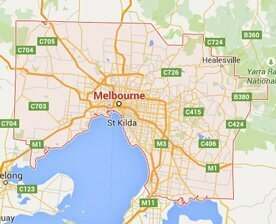 Instead, call our professional windows cleaners in Melbourne at 1300 360 274.